CALLING ALL CRICKETERS TO REPRESENT THE DESERT SPRINGS XI! 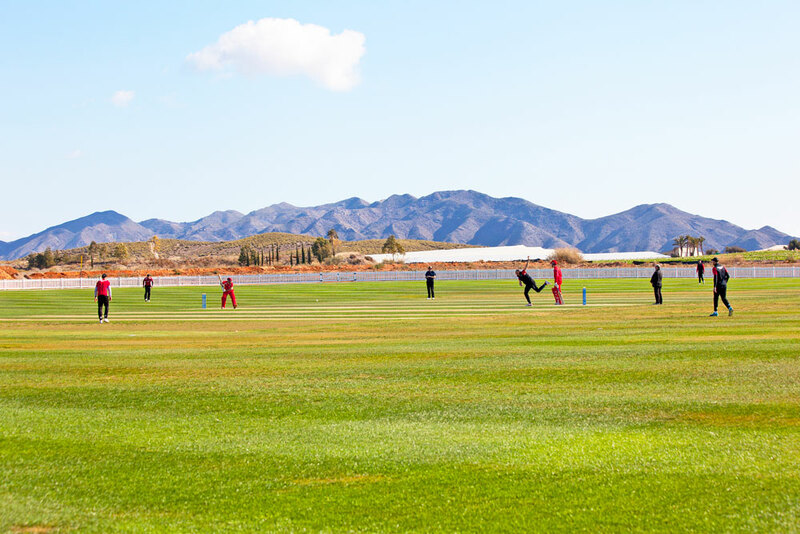 Between Monday 23rd – Wednesday 25th April, Desert Springs will be host to a social and friendly but also competitive 3-day tournament on the first-class Desert Springs Cricket Ground. The tournament will comprise three teams, with each team playing two games with one rest day. The cricket ground has been constructed to ECB standards and specifications and is complimented by a Marquee pavilion, sightscreens, scoreboard, and associated facilities. It provides an outstanding facility to practice and play cricket all year round and, in particular, out of the English cricket season.